Tom Brady did something we have never seen and that’s throw a pick on his first throw in the Super Bowl. Julian Edelman was his savior as his route running was tremendous. The Rams defense didn’t have an answer for him as he caught those 10 passes on 12 targets. Gronk came through catching 6 passes for 87 yards in what could be his final game with the retirement talk. Sony Michel got going in the 2nd half and in particular the 4th quarter. Michel almost had another 100-yard game as he finished with 94 yards on 18 carries. Rex Burkhead chipped in with 43 yards on 7 carries. Tom Brady didn’t throw a TD pass as he tossed for 262 yards with the 1 INT. The Rams offense was basically nonexistent throughout the night. Once again, Todd Gurley didn’t play his usual amount of snaps, instead the Rams went with C.J. Anderson. Todd Gurley finished with 35 yards on 10 carries and had a good run called back. While watching the game, there was a noticeable limp when he went back into the hurdle. Jared Goff was pressured all night as he didn’t have no chance to go through his progressions. New England had an answer for everything they ran, but the Rams had their chances. The Patriots defense haven’t looked this good the entire season. New England does have a good defense, but this was dominating. Usually, they’re used to having Brady carry them, but it was the other way around. They held Goff to a 50% passing percentage, only 229 yards passing, no TDs and 1 INT. The Rams had one of the most explosive offenses in the league and was held to a field goal. New England didn’t allow the Rams to get into a rhythm. The one time they did, they pressured Goff into his lone interception, which basically wrapped up the game. Did you imagine the Patriots scoring only 13 points in the Super Bowl? Did you imagine the Patriots scoring 13 points and winning the Super Bowl? The Rams defense was awesome as they pressured Brady throughout the night. Julian Edelman had a big night, but the Rams held the Patriots offense in check for most of the game. Sony Michel got going in the second half and Aaron Donald faced double teams all game. Tom Brady have already stated many times that this isn’t his final game. Brady have continued to say that he’s playing until he’s 45-years-old. With Brady returning, the big question will be about the future of Gronk. Gronk has experienced so many injuries and people think he’ll retire this upcoming season. At times, Brady looked like a 41-year-old QB and there were times he looked like the Brady we know of. Sony Michel is developing into a great back and Edelman will return also. On the defensive side of the ball, they’re looking great, but they’ll continue to get better and young through the draft. New England will be one of the favorites going into next year. Jared Goff will continue to develop into one of the better QBs in the league. Todd Gurley will be back 100% healthy and they’ll get a couple of key guys back on the offensive side. As far as the defensive side, they have several free agents to deal with. Ndamukong Suh and Aqib Talib are two of the key guys that will be free agents this offseason. Los Angeles built this team to make a run this season and they sure did. With the offense being one of the best in the league, the Rams will be one of the favorites to return to the Super Bowl. 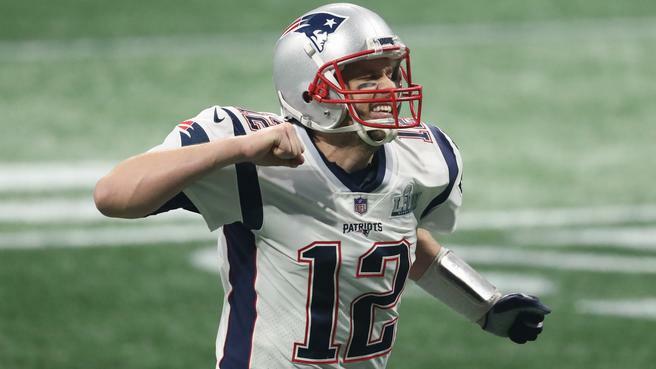 What did you think about Super Bowl LIII? Do you think either of these teams will make it to Super Bowl LIV? Who do you have playing in the Super Bowl next year? Below are my top 5 teams from both conferences who could make a Super Bowl run.